For over 20 years I lived just five hours away from Yellowstone. I’ve visited this national treasure over 25 times, long enough to see Mother Nature redecorate and remodel her landscape. The changes have been many, but one that has been personal to me are the changes that took place at Dragon Mouth’s Spring. I first saw this steam-spurting, hissing feature in the late 1960s. 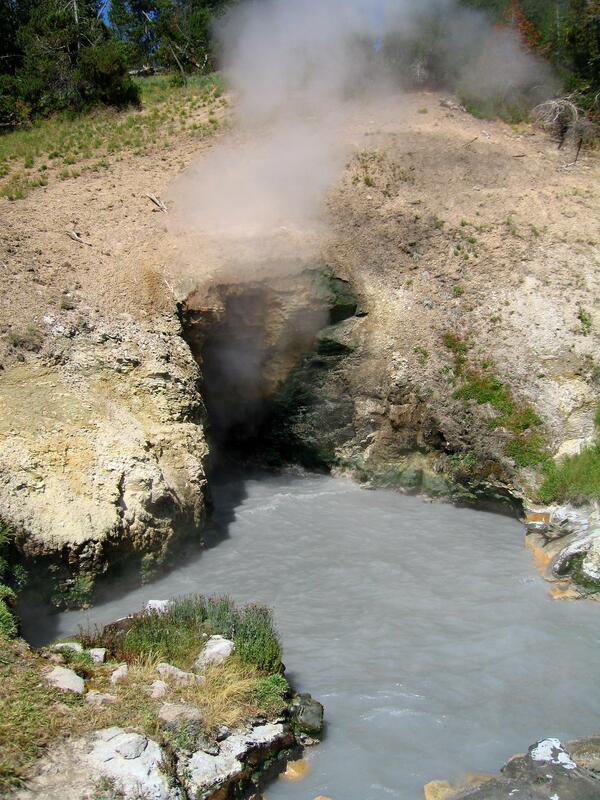 It is located along the Mud Volcano Trail, a 2/3-mile loop through a varied landscape of mud pots and geysers. It was easy for me, the first time I saw this sight, to imagine a dragon huffing and puffing as steam and water sloshed out from the entrance to a small cavern. But each time I revisited, which I always did when in Yellowstone, the dragon seemed mellower than the time before. And the dark green boiling water of the spring, which was easily envisioned as acidic dragon slime, began turning a bubbling light gray, the color of my hair today. As I watched the dragon settle, I began to imagine it as an old broad like me, no longer always on the run, but settling into contentment with no need to continually prove one’s worth — and with time to simply enjoy life. 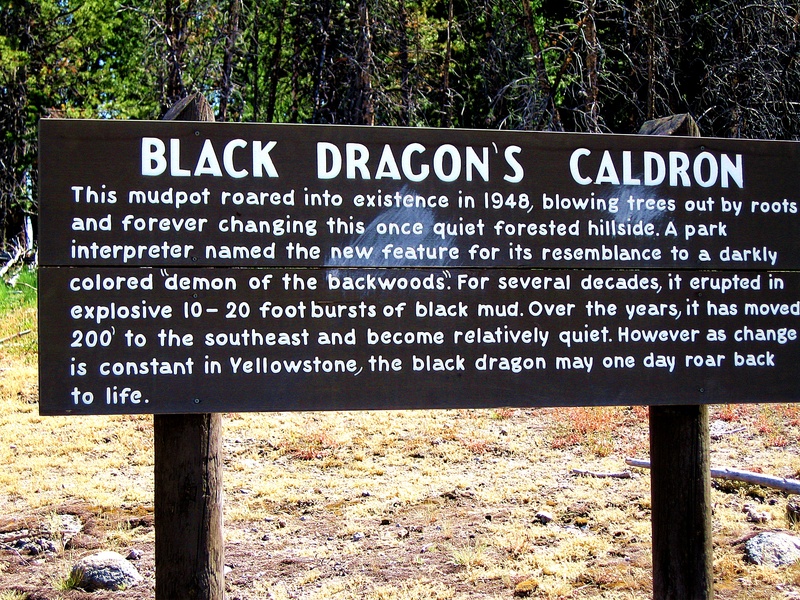 So, it was that each time I hiked the Mud Volcano Trail, I took more and more time to enjoy the sights along the remainder of the trail, and not just the more memorable dragon. Each hike seemed to offer a new surprise: a fox lazing beneath a tree barely visible through my binoculars, a Clark’s nutcracker flying between hillside trees, the yellow hues of rocks painted by the minerals whose aroma taints the air with rotten eggs. 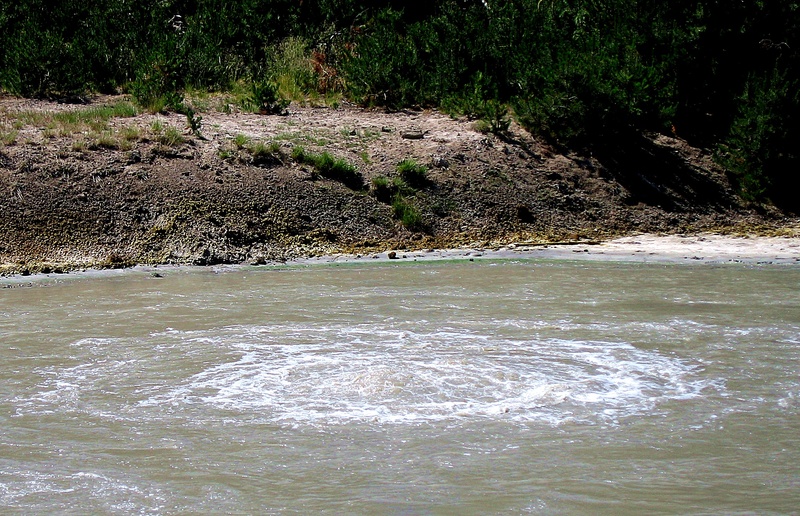 I can’t imagine visiting Yellowstone without revisiting the Mud Volcano Trail. While not as colorful as the Fountain Paint Pot Trail, or as spectacular as the geyser-dotted trail to Morning Glory Pool – which of course I can’t miss either – there be a dragon that calls to me. Bean Pat: Boondocking https://nomadadvocate.wordpress.com/2018/04/18/boondocking-love-it-or-hate-it/ I boondocked at Lone Rock at Lake Powell the very first night I spent in my RV. What a wonderful time. And this blog brought back all those good memories. I love that quote. What a treasure we have, then add state, county, and city lands in and who knows what that might be.